Dr. Michael White, a 2008 recipient of a National Heritage Award from the National Endowment for the Arts, lost almost everything he owned in the flood during Hurricane Katrina, including 50 antique clarinets. But instead of feeling defeated by this great loss, Dr. White was inspired to pick up and continue creating great traditional New Orleans jazz. Here he joins Nick to talk about his 2008 album "Blue Crescent" and his feelings about the state of musical culture in the city. Pianist Jelly Roll Morton of New Orleans claimed to have invented jazz, and was certainly its first composer. In 1938 with Alan Lomax at the Library of Congress, Morton sketched the origins of jazz in a series of INTERVIEW:s and performances, excerpted here, with commentary from New Orleans clarinetist and researcher Dr. Michael White, and Dan Morganstern, the director of Rutgers University's Institute of Jazz Studies. From healing songs and expressions of pain to hoodoo cure-alls and feel-good elixirs, we explore the musical world of sickness and health. We talk with Mississippi-born guitarist Little Freddie King about how the blues saved many of his nine lives. New Orleans songwriter and rocker Anders Osborne tells of a journey that led to self-medicating with pain relievers that do more harm than good, and his eventual recovery. Tim Duffy of the Music Maker Relief Foundation in North Carolina explains the curative properties of music on society and his work with Taj Mahal to help deep-roots musicians in need. And clarinetist Dr. Michael White talks of jazz and its role in his and New Orleans' recovery after Katrina. Plus, medicine show troubadours hawk their tonics, Dr. John prescribes Mama Roux's healing potions, and Huey "Piano" Smith gives us a serious case of "Rockin' Pneumonia and the Boogie Woogie Flu." This holiday weekend, we've hand picked some of the best live performances on American Routes. From Willie Nelson in our studio to soul queen Irma Thomas and other roots music heroes at Rock N Bowl, Preservation Hall and the Civic Theater in New Orleans. We feature blues harpist Charlie Musselwhite, Baton Rouge blues pianist, Henry Gray, New Orleans traditional jazz clarinetist Dr. Michael White and Topsy Chapman. Plus the Cajun band Beausoleil and zydeco accordionist Geno Delafose. And, from the Smithsonian Folklife Festival: Los Texmaniacs and the Chuck Brown Go-Go band. So, turn on the radio and take a break from work (just two hours) for American Routes! American Routes celebrates music and musicians from New Orleans, Mississippi and French Louisiana. Recorded live at New Orleans' venerable (1906) Civic Theatre, the show features New Orleans clarinetist Dr. Michael White and the Original Liberty Jazz Band with the definitive Creole music born in the Crescent City: traditional jazz. 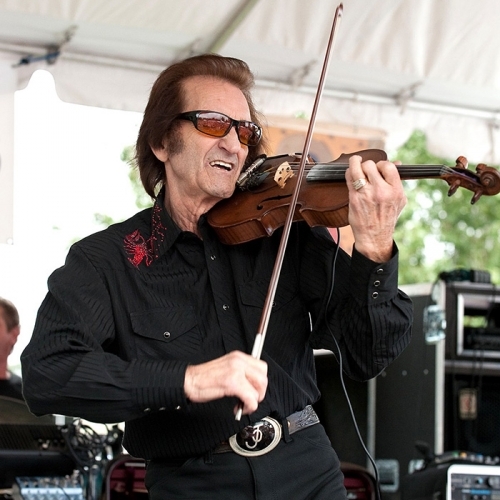 White is joined by fellow NEA Heritage recipient, Cajun fiddler Michael Doucet and the influential band of the French Louisiana cultural revival BeauSoleil ('good sunshine'). The downhome blues of guitarist and wordslinger Little Freddie King of McComb, Mississippi kicks off the show and the spirit-filled gospel of Electrifying Crown Seekers from New Orleans' West Bank take us home. Our special guest is beloved jazz vocalist Topsy Chapman, also famed locally as the first black cocktail waitress on Bourbon Street in the 1960s. This Independence Day, we'll celebrate music of New Orleans, Mississippi & French Louisiana. Recorded live at New Orleans' Civic Theatre, we'll be joined by New Orleans clarinetist Dr. Michael White and the Original Liberty Jazz Band; fellow NEA Heritage recipient and Cajun fiddler Michael Doucet with his band BeauSoleil; the downhome blues of McComb, Mississippi's Little Freddie King; and the spirit-filled gospel of Electrifying Crown Seekers from New Orleans' West Bank. Our special guest is beloved jazz vocalist Topsy Chapman. Join us for a holiday edition of the new American Routes Live series. American Routes has been on the air for over a decade and it's time to celebrate. Live from the House of Blues in New Orleans, Nick is joined on stage by Dr. Michael White and his Liberty Jazz Band, the young Cajun band Feufollet, and New Orleans jump blues legend Deacon John, along with several special guests. American Routes has been on the air for a decade and it's time to celebrate. Live from the House of Blues in New Orleans, Nick is joined on stage with Dr. Michael White and his Liberty Jazz Band, the young Cajun band Feufollet, and New Orleans jump blues legend Deacon John, along with several special guests. Party with American Routes this Mardi Gras season! It's hurricane season on the Gulf Coast. To commemorate it we gather songs made post-Katrina and Rita... as well as some enduring classics. Dr. John makes a soapbox of his piano and speaks out in song against the governmental missteps following our country's greatest unnatural disaster. 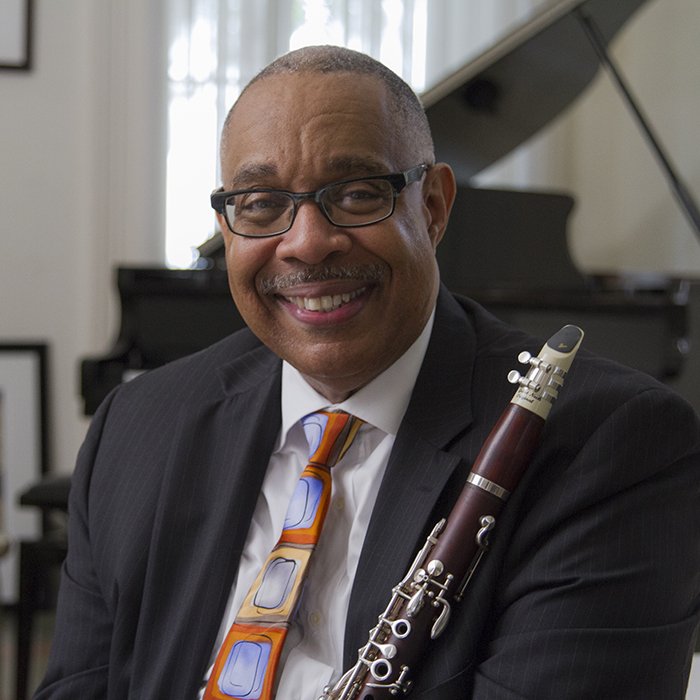 New Orleans jazz clarinetist Dr. Michael White joins us to talk about his new songs in traditional style made following the loss of his home and musical instruments to the flood. Plus the huge influx of talented outsiders is revealed in interviews with New Yorkers who have, post-storm, become New Orleanians--what brought them to and keeps them in the Crescent City. We look back at the year 2005 that brought catastrophe to the Gulf Coast region, and look forward to the rebuilding and rejuvenation of the area through music, including Duke Ellington's great New Orleans Suite. Trumpeter Irvin Mayfield joins us to narrate a recent live performance of his new composition "All the Saints" with the New Orleans Jazz Orchestra from Christ Church Cathedral in New Orleans. Also, traditional jazz clarinetist Dr. Michael White ruminates on the loss of musical collections, from a King Oliver clarinet to Jelly Roll Morton sheet music, and carrying on post-Katrina. And a montage of voices from victims of Hurricane Rita in French southwest Louisiana. Jelly Roll Morton, the New Orleans pianist, composer, raconteur and the self-proclaimed "inventor of jazz," is featured through original Library of Congress music and oral history sessions, and interviews with jazz scholar Dan Morgenstern. Pervasive influence of Morton's music includes the swing-era sounds of Benny Goodman to recent revivals by Dr. Michael White and Wynton Marsalis.